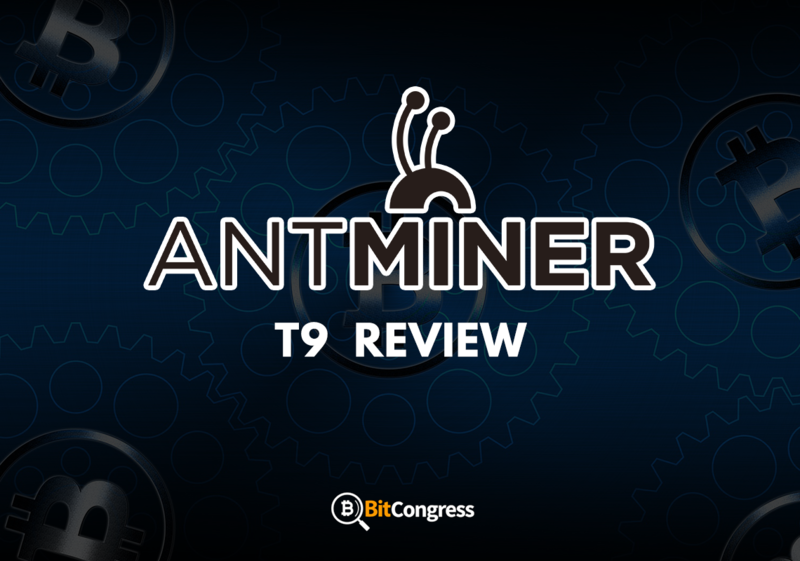 Antminer T9 Review – Read Before Buying it! Mining has, and perhaps always will be associated with gold and other precious metals. But the time has come, when there is going to be an altogether new addition to the list. Soon enough, when people talk of mining, they won’t just be talking about gold, silver or diamonds, but something entirely new and exciting. But what could that be? Has there been a groundbreaking discovery, some new age metal which managed to stay hidden from our eyes all these years? Or is it something that has just been created? The answer leans more towards the latter. 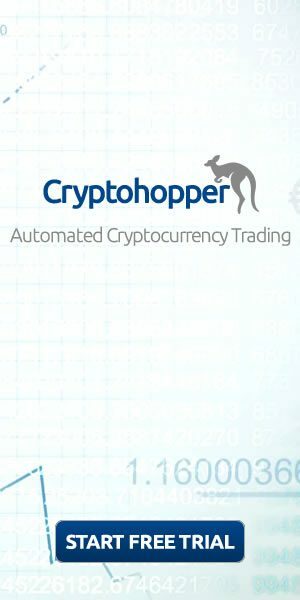 It all started back in 2009 when the world was introduced to the realm of cryptocurrencies. With the advent of the Bitcoin, the financial sector looked all set to change. People thought that Bitcoin would soon become the one singular central currency of the world, being used and transacted within almost all parts of the world. Sadly, the hype died down soon enough. The Bitcoin stopped making headlines as quickly as it had climbed the popularity charts. But this by no means meant that it faded completely into non-existence. The Bitcoin survived, silently biding its time, until very recently when it made a smashing comeback in the year 2015. Soon enough, the world was talking about it once more. The biggest feather in its cap happened to be the fact that it managed to touch a value of nearly $20,000 for a single Bitcoin. With such promising feats, the world soon became deeply interested in it once more. Investments started flowing in, and pretty soon, the Bitcoin was the one thing being talked about all over the world. But let us take a few steps back, and venture once more into the realm of cryptocurrencies we talked of. Once Bitcoin became successful, people became a little more curious to the entire notion of cryptocurrencies, and some began exploring further. It was at this time that the world discovered cryptocurrency mining. Touted as a means to keep all cryptocurrency transactions secure and transparent, Bitcoin mining is how new transactions are added to the blockchain such that there can be no possible means to commit frauds or forgery. It is, in a way, also responsible for creating new Bitcoins and adding them to the Bitcoin ledger, in almost exactly the same manner as real-world mining. However, the similarities end right there, for crypto-mining and real-world mining are as different as they get. While real-world mining will require you to carry heavy mechanical equipment, mining for cryptocurrencies would require no such thing. What you do require though, is a suitable mining rig, personally tailored to fit your needs, and a whole lot of power to run it. The primary selling points of the T9 are that it is affordable and efficient. The developers have taken great care to avoid the limitations put forth by the preceding model, the Antminer S9. Bitmain, the manufacturing company happens to be one of the most major players in the field of BTC miners and owns a pretty impressive 70% of the total market share. Now, perhaps the people behind Bitmain have plans of expanding their business even further, which would explain the sudden boost in their hardware when the compare the S9 and the T9. The T9 boasts of being the world’s first ever BTC miner that runs on a 16nm process code. Housing the extremely efficient BM1387 chip, the T9 leaves no room for concern since it is packed to the capacity by a total of 171 of such chips. Additionally, the T9 is also known for introducing a much-needed stability in the field of Bitcoin mining. If there is one parameter on which the T9 lags behind the S9, it is the much sought after hash rate which happens to be 11.5 TH/s compared to the S9’s 14 TH/s. Check the Cheapest Price here! Perhaps the one thing that truly matters whenever one goes out to buy a commodity is the associated profitability. An investment remains fruitful only until the time it bears a decent amount of profit for the consumer. Once the profits go sour, the commodity is as good as obsolete. This is why the makers and developers of mining rigs take great pains to ensure that their proposed model performs well on all sorts of profitability gauges and remains fruitful for a good portion of its life. 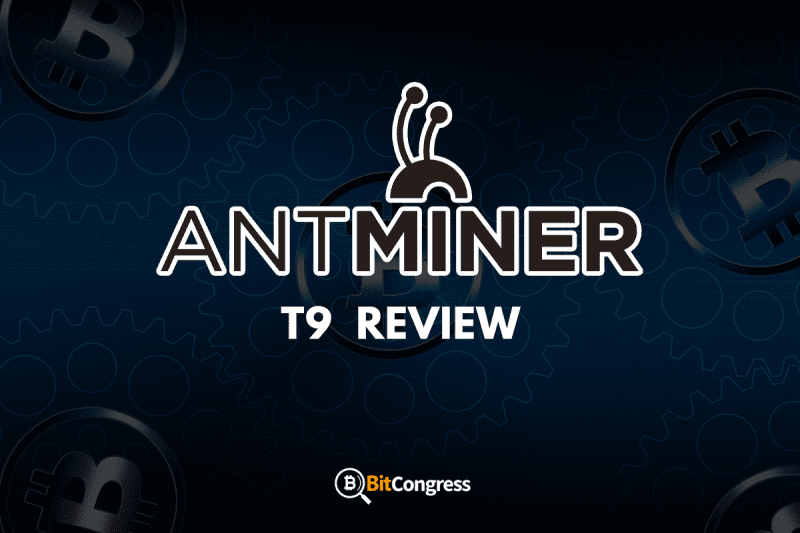 As for the Antminer T9, it happens to produce an average of 0.09 BTC in a month, which is some pretty good returns when you compare them to other similar models in the market. Another parameter which takes center stage when you need to purchase a mining rig is that of power consumption. Obviously, the lower the power consumption of the concerned model, higher will be the net profitability of the model. If you end up spending excessive amounts of money on simply your power and electricity bills, there is a good chance that you would be losing more money than what you make. Owing to the same, the Antminer T9 has been designed to be electrically optimized and to use the least amount of power possible. While the T9 features an energy consumption rating of 0.126 J/GH, the S9 was, even more, energy efficient placed at just 0.098 J/GH. Heavy machinery often tends to get hot. Even our very own smartphones and laptop devices tend to get heated up when left hooked on to a power supply, or used excessively for extended periods of time. It is only natural that mining rigs experience similar problems. Fortunately, the makers have introduced especially designated fans for this very purpose. However, with increased heat, the power consumption of the fans rises as well, since they tend to draw more power for better cooling. The T9 houses two computer controlled fans which are sealed in an aluminum casing. There are also additionally customized heat sinks provided which make use of conduction and convection technologies to cool down the unit. Setting up the Antminer T9 is literally child’s play. It is in fact as simple as using any other Bitmain hardware. All that is required is to power up the unit and launch the browser such that the process can be initiated. Next, you need to navigate to the official Bitmain website to gain access to the miner’s IP address. As for the control panel, it is quite self-explanatory and only requires that you add a wallet for easy storage of the coins you are going to dig up. Additionally, you need to set a password which can further protect you or your account from any unwanted breaches or security leaks. As with any new technology, one of the most critical aspects to the success of mining rigs is the kind of user interface they end up installing on their device. To attract the maximum number of customers and appeal to the largest crowd, they need to initiate a user interface that is not just simple and uncomplicated but also functions as a guide for new users or those wanting to learn a few tricks of the trade. Without a comprehensive and helpful user interface, the technology ends up becoming much harder to operate and an overall hassle to work with. As for the T9, it boasts of an intricate UI that guides the user and makes navigation across different menus super easy for new users. Additionally, it allows for simple customizations which tend to match with the preferences of the user, making the overall usage of the device quite enjoyable and hassle-free. Ultimately, it all comes down to this. No matter how well made a device is, or what crazy features have been incorporated into it, it won’t be able to leave much of an impact on the market unless it has a decent price tag. Fortunately, the Antminer T9 doesn’t suffer from this problem. Currently, it is priced at a moderate $12350. As for the availability of the product, it can currently be purchased from any of the leading e-commerce platforms. A few of them such as Amazon or eBay might even offer you a decent deal and discounted prices on the rig. If you are planning to indulge yourself in some cryptocurrency mining there are a few things you must take care of and ensure to the best of your capacity. Let us try and take a good look at what they are. First, make sure you are well prepared to suffer a few losses. Honestly, cryptocurrency mining is not an all-out profitable business. Sure, there is an amazing scope to make lots of money if you are dedicated or smart enough, but there is an even bigger chance for you to fail. The primary reason behind this is the fact that mining calls for a lot of investment. After all, the miner rigs we talked about earlier don’t exactly come cheap. Additionally, to run them, you would have to pay much-heightened energy bills and that would further elevate your overall expenses on the venture. And the chances of profit compared to all of that are nothing more than slim. Next, you need to have a dedicated area for your mining activities. Now this doesn’t mean that you need to build a cave for yourself if you intend to mine for crypto-coins from your home, but since miner rigs tend to make a lot of noise, you might as well look for a place which is a little isolated and won’t get in the way of others in your house or residential complex. Furthermore, choosing a mining rig is a task in itself. There are so many brands and models available in the market right now for the same that at times customers tend to get confused and often end up making the wrong decision. Better try and avoid a situation like that. All you need to do is assess your own situation, look for the things that matter to you and stick to them. For example, if noise is going to be a concern, perhaps you would be better off buying a miner which makes the least amount of noise. Otherwise, if heightened energy bills are a concern for you, then go for the most energy-efficient model in the market. Such facts, characteristics, and ratings are clearly mentioned on the model or its packaging. Make sure you check them out before making your purchase. Hash is the name given to a complex problem that is designed to be solved by a mining rig. It is through solving such complex problems and mathematical algorithms that miners dig through the blockchain and mine for coins. Now, miners always have this rating called the hash rate, which is nothing but the number of problems that can effectively be tackled by a miner per second. Obviously, the higher the hash rate, better will the miner itself. Thus, make sure you take this factor into consideration. Finally, as specified earlier, make sure you are ready to spend some extra money on things such as electricity bills for a few weeks, at least until you manage to earn decently through your mining venture. 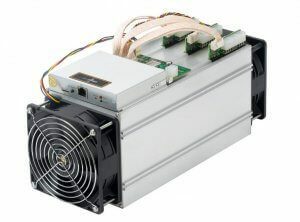 For people who are accustomed to the S9, and are fond of the way it functions, there can be no better choice than the T9, which is more or less an upgrade and would work fantastically in the hands of a dedicated miner looking to make some decent profits. Avalon6 Review - Is This Minning Hardware Worth It?